When does a bicycle become a natural extension of the rider? When that bicycle is designed only for one person and hand-built without compromise. 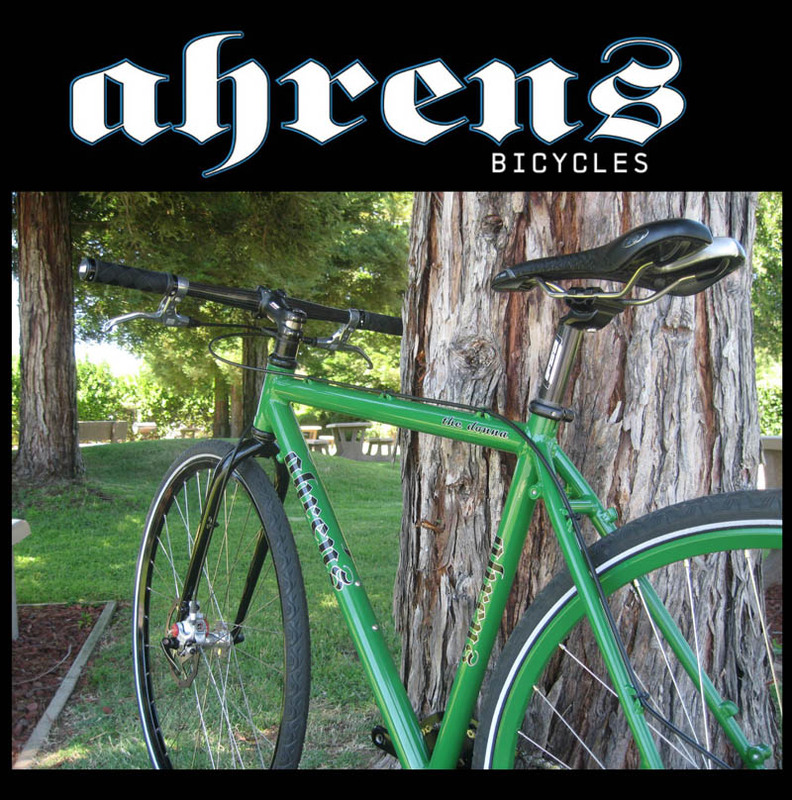 Ahrens Bicycles is a custom frame builder with the goal of merging rider and bicycle into a seamless duo. The company was started in 1996 by Mike Ahrens, an avid mountain biker with a background in mechanical engineering and machine design. Ahrens Bicycles uses only the finest materials during the build process. Our TIG-welded steel frames blend tubing offered by Reynolds, Columbus, True Temper, Dedacciai and Tange. Our TIG-welded aluminum frames blend Easton tubing and machined frame components including dropouts and rear triangle yokes. To achieve proper frame sizing and optimal fit, every frame is developed using advanced 3D modeling software. This flexible design approach enables frame geometry to be changed easily based on body dimensions, riding style, frame type and tubing selection. Whether you’re looking for a new steel XC race frame or a long-travel, disc-specific aluminum trail bike, Ahrens Bicycles will deliver a handmade frame that will exceed your expectations. And don't forget about our new line of ROAD and CYCLOCROSS frames! After numerous requests from our existing customers, we've expanded our range of niche offerings. For high attention to detail and superior customer support, look no further than Ahrens Bicycles for your next frame.